Kazakhstan has become home not only for many people but also for many religious movements. There they live peacefully with each other and are widely distributed throughout the republic. The main centers of these religions are in Astana, the capital of Kazakhstan. Islam is the dominant religion in the country professed by more than 9 million people. 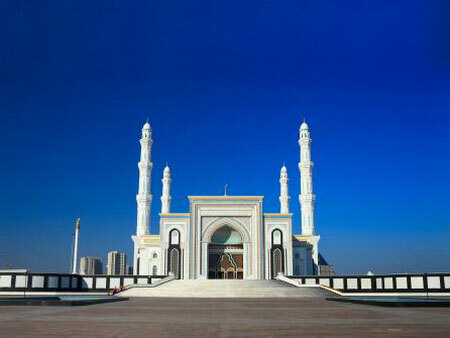 Nur-Astana Mosque is the central mosque of Astana. It is a big building, surrounded by four 62-meter-tall minarets and is one of the largest mosques in Central Asia designed for 5,000 people. The Orthodox Church in Astana is represented by the Assumption Cathedral built in 2010. It stands 68 meters tall, has five domes, and can accommodate 4,000 people. The share of Orthodox residents is 30% of the population. The Catholic Church is represented by the Cathedral of Our Lady Mother of Perpetual Help, which was constructed in Astana in 1998. The number of Catholics in Kazakhstan does not exceed 200 thousand people, although they are scattered all across the country. It is noteworthy that in 2001 Pope John Paul II visited Kazakhstan and noted the peaceful coexistence of religions in this Muslim country. 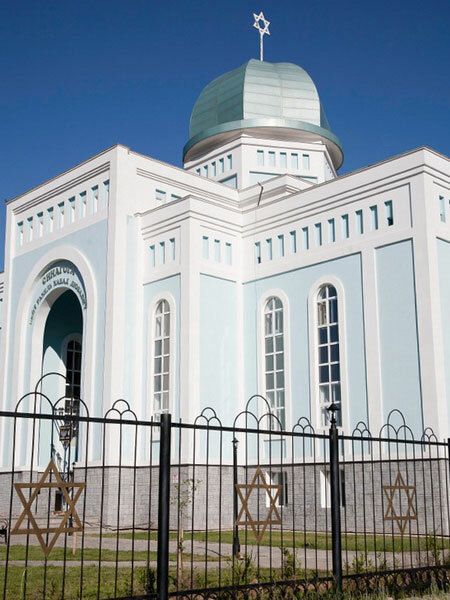 Judaism in Kazakhstan is not widely spread, although the first synagogue was established there in 1884. And now the main star of David tops the synagogue Beit Rachel - Habbad Lubavitch, which was opened in Astana in 2004. It is the largest synagogue in Central Asia. Besides the mentioned above religions there are Buddhism, Protestantism, Lutheranism and others. The symbol of unity of all religions in the country is the Palace of Peace and Accord. There, the congress of representatives of world religions considering the issues of their peaceful coexistence was held.